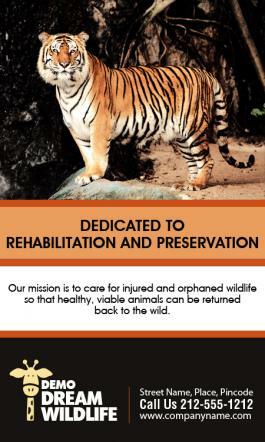 This custom 3x5 inch square corner wildlife care magnets – 20 MIL is an apt promotional or awareness building choice for all those who wish to raise awareness about pet care, wildlife care and other animal related causes. This magnet allows them to stick to their bottom line and build trust around their cause. Another best thing is it rarely misses an attention and easily becomes a cherished token over refrigerator doors. Many value added benefits in form of freebies and pricing can be availed by bulk ordering these magnets. Request a quote to know what you may save by bulk ordering these promotional 3x5 inch square corner wildlife care magnets – 20 MIL.